By the time you read this, I’ll be on a cruise ship, recovering from North Carolina’s record-breaking snow. It’s a much-needed reprieve from only a month’s worth of winter, one that even a balmy 60-degree weekend couldn’t melt in the shadowy places. As much as I told myself I wanted to lean into the season of hygge, I’m already yearning for spring. Why do I want to wind myself up when nature commands, “Lie fallow!”? Why do I pine for long, sunny days to go outside when God commands, “Rest. Go inward.”? Because I am my own worst sabbath enemy. Last week, I told you the huge news about two new book projects I’m writing this year. I wrote about the structure and accountability I’d need, because I’m an obliger growing into upholder tendencies. Your response: but, what about sabbath? We’d much rather keep busy, because it makes us feel valuable, important, needed. We think that our culture and economy is going to coax us into ceasing our work in order to lean into contemplative time. We view sabbath with a perfectionist lens. If we can’t do it perfectly (legalistically), we won’t do it at all. We lack humility and serve up the excuses. “The world/my family/my workplace will fall apart without me,” we say. Sabbath in a 24/7 world is not intuitive; intention is key. Winter—even with its natural sabbath rhythm—is difficult. It feels vast and fraught with Seasonal Affective Disorder, ups and downs. It’s the quarter of the year with the longest climb to anticipation: there’s no break until spring or Easter hope, even though the pastel Peeps arrive February 15th. , but I am. I don’t like Lent, but I love the parameters to engage in spiritual practice. I’m always grateful for its ready-made excuse to dive deeper and experience accountability among the global Christian Church. This is my first full year of life without my mother. I’m entering this first year of grief, even as I write about it for Born Dying (Chalice Press, spring/summer 2019). My prayer is that the book will be as useful for the reader as it will be for me. For Sabbath’s Sake is launched, and I’m continuing to discern my own fledgling practice, even as I help others do the same. I need to take my own medicine—we all do. This week’s Upper Room My Quiet Spaces “Retreat at Sea” Cruise will be an invitation to embrace four days of sabbath on the open seas, to connect in community and worship, even if my internal life feels dark and chilly. 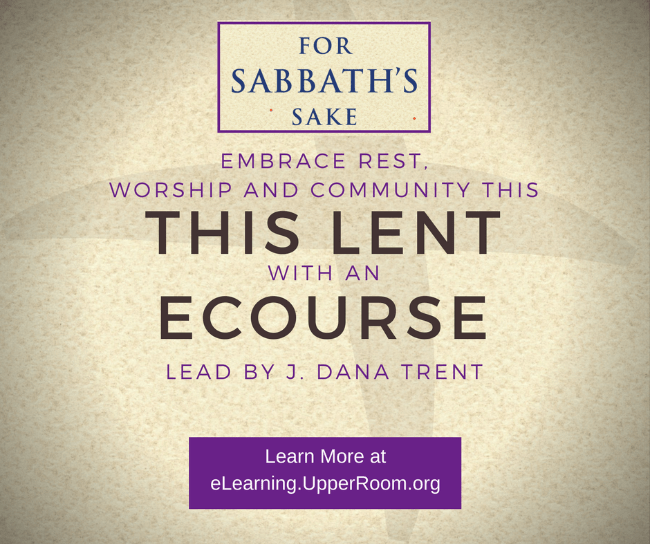 What would it take for you to embrace sabbath as your winter/Lenten practice?